Another common problem with BMW's and notorious with the E53's (similar reports on E70), water leaking into cabin. Not necessarily indicative of age but often traced to faulty sunroof cassette, drain tubes, or door vapor barriers/seals. Symptoms are moldy smell, wet carpet, water in glove compartment, water in spare tire area/sub box/DVD nav & CD changer area, water dripping through front map-light area, leaks at A-B-C pillars. Will cause electrical issues if neglected. If culprit is the sunroof cassette, i've heard of little to no effective method to salvage....most expensive fix, if it requires replacement. Mostly all other leaks are not complicated to remedy. May require adhesive to secure vapor barrier or new barriers...removing A pillar to inspect pinched or clogged tubes, using compressed air to clear clogged tubes (drain tubes @ sunroof & rear trunk), securing door weather strips/clips...etc. An online search should reveal multiple methods to remedy, videos as well. Clogged drain tubes may require routine cleaning especially if one parks under trees. If carpet becomes wet, the padding underneath will hold water for a very long period and will cause mildew if not aired out properly. Proper airing out will require removal of front seats and carpet trim to peel back carpets. Last edited by shogun; 11-30-2018 at 04:49 AM. I agree. I have been the first owner of several Japanese cars that were headache vehicles. A late '80s Prelude SI that used to blow fuseable links in cold weather (usually while sitting in traffic at the Whitestone Bridge toll), I would always keep several fuses in the car for roadside replacement. Also had issues with front brake rotor warpage on a few, the worst were Mitsubishi cars, one moderate stop from 80mph and the steering wheel would shake on each brake application thereafter. Very nice and informative. So at the end of the day, it is just a BMW. This thread answered nearly every question I had on the X5. Here are the rest. I posted in a different E53 forum and no replies what so ever. So here is my thread. Hey guys, first off I would like to wish everyone a merry christmas. I have a few questions about these lovely beasts. Ever since test driving a 01 4.4 sport I have had the itch on buying one. That thing was like my 540 in disguise when it came to performance. However, I hope the issues are not as severe as the 540. So here are my questions. 1- Does the 4.4 or 4.6 have the same cooling issues as the 540s? IE; Exploding fan clutch , or just total cooling system failures? 2- Is there any year model preferred over any other one? I am looking for a pre 2005. 3- From what I have read, it appears that the transmission seems to be a common failure point on them. If true, is it due to lack of maintenence? On the E39s I know the common mistake is to flush the system as opposed to just drain and fill. 4- Is there a need for two sets of wheels and tires? Summer and winter? I have heard some embarassing storys on the X5s performance on the snow. Living in Indiana , we sometimes get to an upwards to 2 feet of snow at a time. 5- Is there a significant difference in performance between the 4.6 and the 4.4? 6- If I happen to find one that I am interested in and the PPI goes well. How much is too much? I have found several in the range of $11k-$15k with the milage range of 80k-115K miles. Is this an absurd price to pay or no? 7- Last but not least. 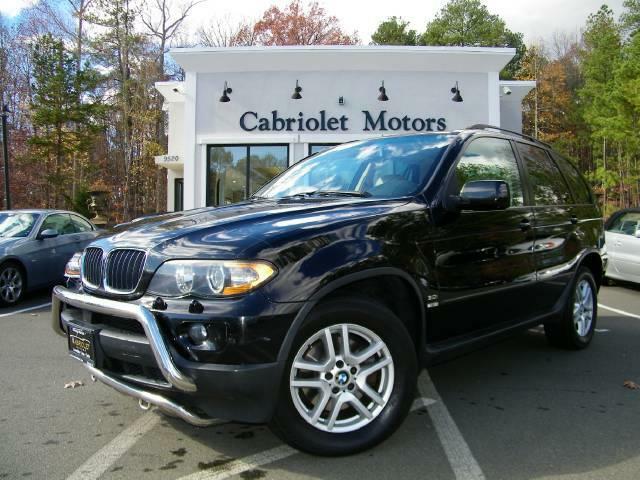 What is the average life expectancy of an X5 that has been well maintaned? I know this was a long thread and I thank you all for your time and input. But we all know that a "Good deal" on a Bimmer can sometimes comeback and bite you in the wallet. I got my wife an 99 Lexus RX300 last year for a good deal. I have to say that the thing is a pretty relaible trooper. Closing in on 160k miles and zero issues. However, I cannot stand the damned thing. I was under the impression that Lexus stood for Luxury. Seats are comfortable but that is about it. That and it will drive thru places that my Explorer would get stuck in. 00-03 were the m62tu motor. Great engine when maintained. Beware of timing chain guides at higher mileage. Its the same motor as your 540. 04-06 are n62. Whole different beast. Trans. is the same zf as other models, just adapted for AWD. If taken care of it would be fine. Problem is BMW's "no maintenance" program. I would rather have the v8's ZF trans than the I6's GM one. Snow tires are suggested. I have all seasons on now and it does OK, but not nearly as surefooted as it was last year on snows. Pricing seems about right. Although 04's are starting to come down to that range too. My 04 w/110k on the clock is worth about 15 to 18k depending on weather its a pp or dealer. I would expect an m62 to make it well past 200k. My 3.0 is still going strong and has required very little money to keep it in good shape. It was a VT. car before I bought it, so its been in the snow belt its whole life and it has no rust as of yet. Something that cant be said of my e38. How can I tell if I have a M62 or N62? I just bought my 2003 X5 4.4. Is it visual or what do I look for? An 03 will have an m62tu. 04 model year was the n62. Here is a pic of the m62 in my 7. Your X5 should look alot like mine. As for the radio, I'm not sure. What radio do you have? Business radio or Nav. screen? Never heard of that issue before. Guess I'm kinda glad not having the N62. With the issues I've read about the problems with the VANOS. There is plenty of power in my X5 the way it is. As for the radio, went I drove home (didn't check the radio on my dealer test drive - stupid me) the radio would not tune into any stations. After digging in the trunk a see there are a bunch of audio wires under the spare tire - looks like the previous owner had a sub woofer and maybe an amp in there? Also the right storage compartment had something there too as there are wires spliced into the factory harness. I just figured the antenna wire was not re- hooked up. Hope this is not an issue???? Wonder, was there suppose to be a multi-disc CD changer there? Oh, and it's the business radio, no NAV. Thanks. Even if the ant. wasnt hooked up you should still be able to change the channels. You just wouldnt get reception. All the audio equipment for a non nav car should be in the spare tire well. I would try and get a used head unit to see if that helps. As far as I know the only thing that controls tuning in radio stations is the radio itself. I suppose I should clarify. Can you physically change the stations and just dont get reception? Or can you not even change the station? If you have a cd changer, it would be in the drivers side cubby in the rear hatch. Most likely you dont have one, but it can be added. I bought a used one from an e46. Your X is pre wired for it. In the drivers side cubby there will be a wire that is taped up. It should just plug in and the radio in the dash will automatically recognize it. FYI, later model cd changers are capable of playing MP3 cd's. While touch wood this hasn't happened in my '04 X5, that is a common problem with BMWs. I had five motor/regulator failures in my '85 325 and another five in my '94 740i (my two previous cars). Each time it was about $450. Really annoying. My mechanic (who's great and knows BMWs inside out) told me that the part is plastic, and the windows you don't use regularly are the ones that are most susceptible to getting jammed (because the regular becomes deformed from staying in one position). So he told me to exercise the windows fairly regularly. Is that why it hasn't happened in my X5? Who knows, but it and those amber dots in the radio going out are the two common problems I know about. I've got an 05 4.8is. Most of the time the car will start, but at other times it won't. It will keep turning over but just won't start unless I give it some gas and let it start on its own. I already replaced the 3 Throttle position sensors. Know how to fix this? Last edited by dannypiv; 02-13-2012 at 06:32 AM. Hey all. I just pulled the trigger on a 2002 X5 3.0i yesterday and I am taking possession of the vehicle tomorrow. 'm a current BMW owner with a 2001 325i with the M54 engine, same basic layout just smaller displacement than the X5. I'm assuming that all of the basic concerns for the 325 still apply with the X5 (VANOS, power steering reservoir leak, oil filter housing gasket leak, cooling system issues) and I'm also assuming that the basic fluid change intervals would be the same? Also, I am assuming that the fluid types are identical to the 2.5. The vehicle is in excellent condition, two-owner, 77,000 miles, all BMW service (verified by paper records and Carfax report), so I don't expect it to need much when it comes to servicing, but I like to be prepared (have a couple of spare coolant hoses, expansion tanks, t-stat housings, things like that) for the worst. Is there anything else that's goofy about these cars that I should get fixed or at least check? Thanks! -If you don't like how slow I drive, feel free to go around. 2001 TiAg 325i, gray leather. K&N Filter. Polyurethane transmission mounts. Rokkor Coilover Kit. Custom blown rear differential bushing. Custom blown engine mounts. 1981 Wagon Queen Family Truckster, metallic pea with wood appearance package. You think you hate it now, but wait 'til you drive it! Last edited by thatracer; 02-13-2012 at 02:03 AM. Wow, pricing has come down. I paid 22 for mine 1 1/2 years ago. Very similar to the pic. It looks to be a non sport model, but to see what else it has I'd need to see inside. You should have the pano roof (being an 05). If you have the same cluster as a 5 or 7 series then it probably has the premium pack. That should have rear sunshades too. Seems to be a good buy. Just ask for service records. Check the front CV shafts for torn boots, typical oil and power steering leaks. Cooling system parts. Also, I dont know how many 3.0l's have it, but it seems to be pretty common for them to have a delay in the gas pedal. Its REALLY annoying on mine. Its a good 3-4 sec. delay. You need to find the "sweet spot" when trying to accel from a stop. From what I can tell its caused by something internal in the transmission. ALL X5's have problems with their bushings, I would replace them right away if I were you. Check the your fluids too, sometimes they leak. And check for any oil leaks. Other than that you should be ok! I'd recommend putting a fuel cleaner in when filling her up just in case, do it every now and then. Once you put it in, fill the car up, and drive it spiritedly (redlining, higher rpms). I've always drooled over 4.8is's. I've owned two 4.6is's, one being a dinan stage 2. I can totally assure you, the 4.8is's are unbelievable. I've finally gotten one, and I love it! Really? Is it that much nicer. That motor scares me with that wretched valley pan coolant leak man. Best bet is to start a new thread, when you find a solution, post it here. dunno bout the v8s, but with the STRAIGHT 6, the general consensus is, if youre smelling oil in the cabin thru the HVAC, your valve cover gasket is leaking. Since you only smell it when you put on heat, its prolly leaking at the back of the engine, and when you turn on the heat, the vapors come into the cabin with the heat off the engine. My X5 is fabulous one. Third row seating? Is this specific to a certain model year and newer? It is amazing how in these situations something that is typically insignificant shows fundamental differences in principles/value recognition.